DayZ is currently "on sale" on the Steam Store for the exact same price it was prior to the sale. "As you mentioned we tried to describe the situation in the latest press release and in my view it's very clear: 'The current price of 23.99 EUR/29.99 USD will still be available during the Steam Fall sale', we aren't promising any special price or discount during the sale, we're just keeping the current price that's it. I'm very sorry if you understand this message wrong." However, this doesn't really answer the question of why the game has the "15% off" tag, when as Bohemia itself stated, it isn't a "special price or discount". Original Story: In what can be seen as a shady business move, DayZ developer Bohemia Interactive has raised the price of it's popular, early-access zombie survival title by 15%... and then immediately posted the game "on sale" for 15% off as part of the Steam Fall Sale. This essentially means that DayZ is now "on sale" for the exact same price that it was before the sale - a practice that is actually against the law in countries such as Australia and the UK. In a press release, Bohemia explained the mark-up: "Along with the updates, you can expect a new price point for DayZ which will be 34.99 USD. This is part of a gradual price change as we progress with the development, and reach the goals that we set for the project. We would like to avoid a sudden increase in price once we hit the final release version. The current price of 23.99 EUR/29.99 USD will still be available during the Steam Fall sale. 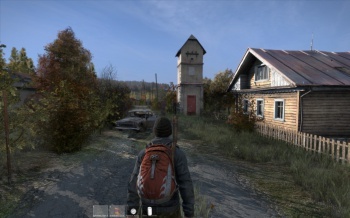 If you want to start surviving in DayZ, then now is the best time to get involved." While the press release does clearly explain the gradual price increase and its reasoning, it is not made clear when users go to purchase the game on the Steam Store that its price had increased immediately prior to the sale. Disregarding the legality of raising a game's price and then putting it on sale, the very fact that the price is being raised should be a concern to us. Usually, games become cheaper over time, not the other way around (with the exception of that whole Xenoblade Chronicles thing last year). We have reached out to Bohemia for comment, as well as Australia and the UK's consumer watchdogs to inquire on the legality of the move. Correction: Many people have pointed out that my math is, in fact, flawed, and an addition of 15% followed by a subtraction of 15% does not even itself out. For what it is worth, the game is technically "on sale" from its original price: it is $29.74 on Steam, meaning you save a whopping 25 cents off the pre-sale price.